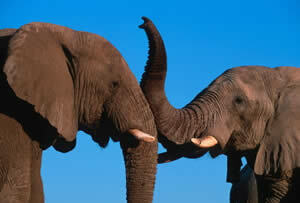 Governments meeting March 13 for the largest wildlife trade convention will have a unique opportunity to help preserve the world’s oceans and simultaneously stem a worldwide poaching crisis. Gland, Switzerland: Governments meeting March 13 for the largest wildlife trade convention will have a unique opportunity to help preserve the world’s oceans and simultaneously stem a worldwide poaching crisis. The 15th Conference of the Parties of the Convention on International Trade of Endangered Species of Fauna and Flora (CITES CoP 15) will consider an unprecedented six proposals to better protect marine species – including a crucial ban on the international commercial trade of Atlantic bluefin tuna. The governments will consider putting Atlantic bluefin tuna on Appendix I of the Convention – the highest level of protection under its appendix system, which would ban all international commercial trade. Other marine species up for increased protection under CITES include red and pink coral – being harvested out of existence to make jewelry and decorative items – and four shark species. Proposals to put these four shark species on CITES Appendix II, which would ensure stricter trade controls, will be considered at the meeting. These sharks currently are overfished because of demand for their fins and meat. In addition, government delegations also will consider steps they can take to help stem a worldwide poaching crisis destroying tiger, rhino and elephant populations in Asia and Africa. 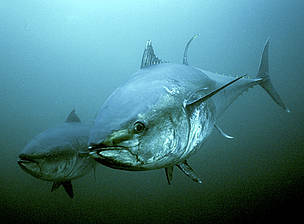 “Support for these proposals to help stop poaching and save the Atlantic bluefin tuna is also a way for governments to publicly show their disapproval of the corruption and organized crime that helps feed the illegal international trade in endangered species,” said Amanda Nickson, Species Programme, WWF International. Rhino poaching worldwide is at a 15-year high and exacerbated by increasingly sophisticated poachers, who now are using veterinary drugs, poison, cross bows and high-calibre weapons to kill rhinos. There is also a marked increase in demand in Asia, particularly in Vietnam, fueled by claims that rhino horn cures cancer. Tigers in particular are in the spotlight during this Year of the Tiger in the Chinese lunar calendar. All 13 tiger range states are signatories to the CITES convention. At the CoP countries will be voting on measures that, if properly enforced, can end all illegal tiger trade for good. This is a critical measure as there are only an estimated 3,200 wild tigers left and poaching and illegal trade are the biggest threat to their survival in the wild.